Since the arrival of twins, Spirulina and Ocelot, I have been indebted to my great friend and editor Fernando Sdrigotti for his invaluable parenting guide, inspired by the philosopher and alcoholic Guy Debord. No more awkward silences during the hours it seems to take the au pair to dry her hair — Sdrigotti’s guide provides no end of suitable conversation topics for bright 2 year olds, from Peppa Pig’s role in mediating social interactions between toddlers in the nursery to detourning the playground. Can’t afford another holiday abroad this year? Just remember, as Sdrigotti tells us, beneath each playpen lies the beach! 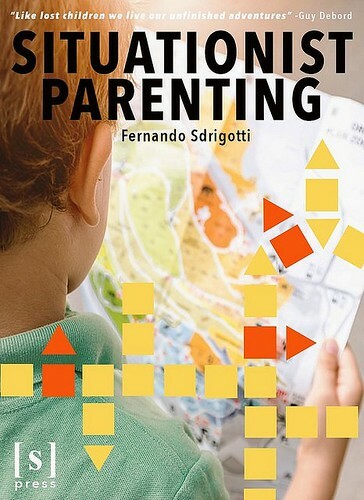 The Situationist Guide to Parenting shifts the paradigm of the self-help genre, reinventing Sdrigotti as a Dr Spock for the modern dad. As we turn to books that we should perhaps actually read, we might send closely-observed birthday greetings to Gustave Flaubert; he was born on this date in 1821. Best remembered now for his 1856 novel Madame Bovary, (and his meticulous devotion to his style and aesthetics), Flaubert reportedly woke at 10am every day and promptly hammered on his ceiling, to get his mother to come down and talk to him. 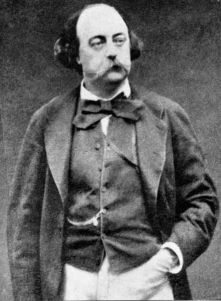 Flaubert helped to introduce a new form of realism into fiction; as a consequence he and his work had considerable influence on later writers, from his protege Guy de Maupassant to Joseph Conrad and James Joyce.